collect these taxes and forward it to the state where your company is based. Generally, states require businesses to submit these collected taxes quarterly or monthly. Sales Tax Vendor ID Number, Reseller Tax ID, State Tax ID Number, Tax Registration Certificate and Sales Tax Exemption Certificate. To avoid local sales tax – basically, the main purpose of the Reseller License is to avoid paying local sales tax when purchasing wholesale items for the purpose of reselling them. Because taxes are only need be paid one time, you resell the items and make the customers pay for it themselves at the time of purchase. may cause you trademark issues. To help you grow your business – Because you are saving money from avoiding local sales tax, this allows you to buy more merchandise to resell hence growing your business. Payment: Some states charge for a resale number, some don’t. To get your reseller permit, you just need to fill out an application form and submit it to your state’s Department of Taxation and Finance. Some states allow you to apply online or in person – this is the quickest way to get a permit, process takes only a day. If you apply by mail, it may be several weeks to get the permit. Again, the process varies from state to state. Can I use my Reseller Permit for personal use? example, in New York, misuse of this permit may subject you to criminal felony prosecution, punishable by a substantial fine and a possible jail sentence. 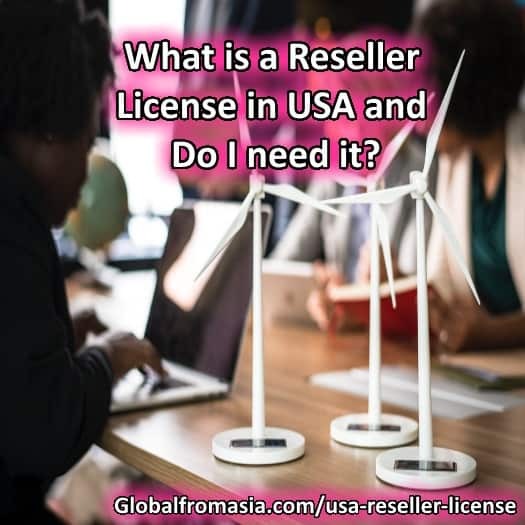 Can I use my Reseller Permit in other States? Yes and no. Some states don’t accept an out-of-state Reseller Permit. For example, you’re from New York and wish to purchase merchandise from Florida – sadly, your Reseller License issued from NY won’t do any good in Florida. There are 9 states that won’t accept out-of-state Reseller Permits including Alabama, California, Florida, Hawaii, Illinois, Louisiana, Maryland, Massachusetts, Washington & Washington D.C. Which states do not issue Reseller Permit? Alaska, Delaware, Montana, New Hampshire and Oregon. Do I need to pay tax for my unsold merchandise? Generally, yes. The tax you will be paying is called “Use Tax” which compensates sales tax that have not been paid. In applying for a Reseller License, always remember that you’re only allowed to purchase merchandise tax free if you intend to resell them and charge sales tax to the consumers. This license opens a great opportunity for sellers to earn more while being able to meet your sales tax compliance requirements.